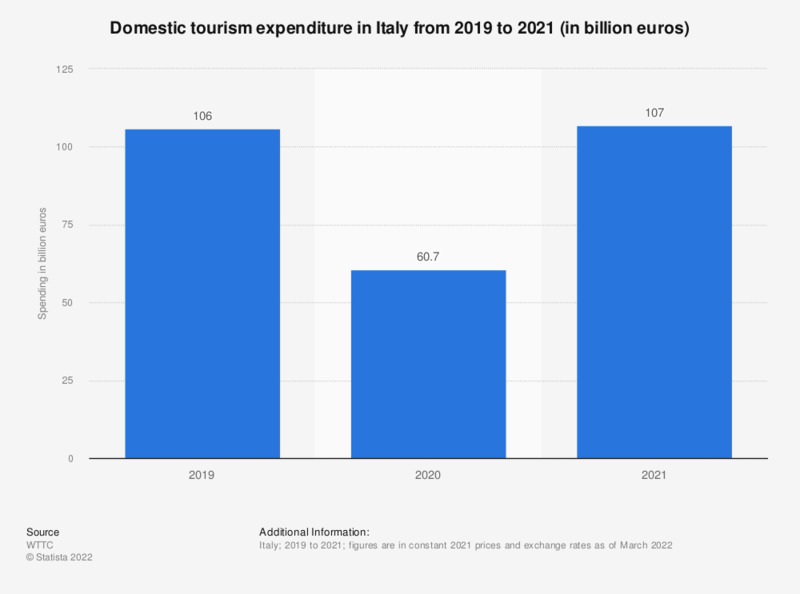 This statistic shows the domestic spending of tourists in Italy from 2012 to 2018 and a forecast for 2028. According to data, in 2018 tourism domestic spending was estimated to reach 132.8 billion euros. The source provides the following definition: "Spending within a country by that country’s residents for both business and leisure trips. Multi-use consumer durables are not included since they are not purchased solely for tourism purposes." Everything On "Travel and tourism in Italy" in One Document: Edited and Divided into Handy Chapters. Including Detailed References. On a scale from 1 to 5, with 1 meaning not at all and 5 too much, how would you describe the crowdedness of Dutch tourists in your neighborhood?